There’s cause to celebrate if you’re a Spartacus fan. 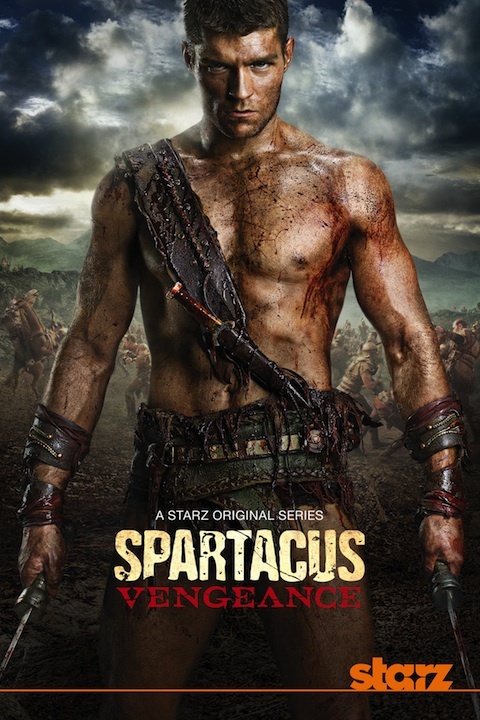 Starz announced the official premiere date for Spartacus: Vengeance. We also have a great behind-the-scenes video for the new season for you to check out, as well as the excellent photo, which features new-Spartacus Liam McIntyre. The third installment to the Spartacus series, which is technically the second season, as Gods of the Arena was a prequel, is set to premiere on Starz on Friday, January 27, 2012 (10:00 p.m. ET/PT). As a Spartacus fan, and as someone who marks 1/27 as the date on which I annually celebrate getting older, I now have an official reason to stay in that night and watch whatever sweaty, bloody, swordy adventures are in store for us when the new season picks up. The video below offers some footage from the new season and also includes some of the cast as they talk about what’s to come. Bask in the glow of their pretty faces and appealing accents for a minute. Here’s Starz’ synopsis for the new season and further down is the key art.